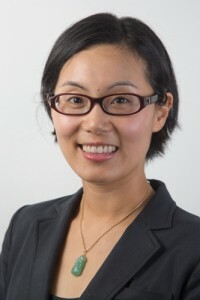 Yvonne Chang graduated with BDSc (Hons) from the University of Melbourne and completed her specialist training from the University of Queensland with DClinDent ( Perio) in 2008. She was accepted as a fellow into the Royal Australasian College of Dental Surgeon in 2009. Yvonne commenced specialist private practice in periodontics and implant surgery since 2009 and has been actively involved in teaching at both undergraduate and postgraduate levels. She was also an examiner for the Australian Dental Council from 2009-2013. Yvonne has been past president of the Australian Society of Periodontology (Qld) and a member of the Australasian Oessointegration Society. She is a native Mandarin speaker with a good understanding of Cantonese. Yvonne maintains her part time specialist periodontal practice at Brisbane City Periodontics and Implants with a special interest in general periodontics and implant surgery.